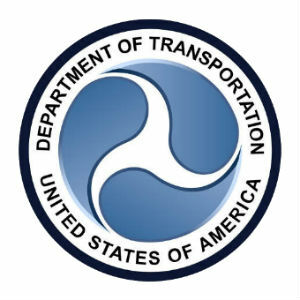 OST supported a US Department of Transportation office of information and technology services under a contract spanning thirteen work orders. This contract demonstrates OST’s ability to deliver transformational solutions, sustain and enhance enterprise applications, and support thousands of users around the world. Through every work order, OST applied its deep agency and IT domain knowledge to implement an integrated approach that enabled us to increase stability and availability, improve functionality, improve security posture, and enhance service to business, while reducing risk and sustainment cost. Our services ranged from application development, sustainment, data center management, Enterprise Data Warehouse, Business Intelligence, and PMO support services to enhancing IT systems for safety management, medical processes, air traffic safety standards, registry management, and financial management. When OST began working with the customer, the agency had many contractors supporting its enterprise business and mission systems. One of the core challenges was to implement solutions to support performance, delivery quality, and management reporting in a consistent manner across all contracts while maintaining high service levels. OST’s approach was based on strong governance, transparency, and structured processes, which delivered value to our stakeholders through improved service and enhanced system stability and reliability. Conducted a gap analysis to identify issues with the customer’s critical enterprise financial system and implemented multiple configuration changes, resulting in increased system availability from 82.2 percent to 99.5 percent with zero issues during the year-end processing season. Modernized three public-facing mission systems using agile development, replaced over 187,000 lines of code, moved these systems off end-of-life technologies, addressed extensive security vulnerabilities, and then put these systems in production in seven months. Delivered greater than 99 percent systems availability on key financial and procurement system infrastructure. Implemented multi-factor authentication, improving the security posture for these systems. Standardized management and metrics reporting, reducing reporting time and effort by 55 percent in the first year of program performance. OST supports thousands of internal business and external public users. This large set of users benefited from OST’s solutions to improve the security posture, stability and reliability, and overall performance of the systems we support. Together, all of this helps the customer effectively meet its mission. © 2019 Optimal Solutions and Technologies, Inc. All Rights Reserved.